Midwest retail chain Meijer is refusing to go along with the coalition of retailers that have ditched Apple Pay in favor of their own vastly inferior alternative. At least one company cares about its customers. If you've been following the Apple Pay war heat up over the last few days, you know that it's totally ridiculous. The short version is that a group of retailers partnered to create the Merchant Customer Exchange (MCX), a company that developed CurrentC, a terrible mobile payment system and app. And it really is terrible: From the the sign up process that requires that you enter your bank account information to the QR codes you have to scan to make purchases. Oh, and it's already been hacked, which is amazing, because who the hell even uses it. Apple Pay is easy and so it is a threat to the foolish system, and so MCX partners like Walmart, Target, and CVS have disabled Apple Pay even though they have the NFC terminals that can use it. 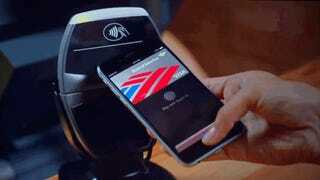 According to the New York Times, MCX companies are forbidden from using Apple Pay. How easily they all fall into line.